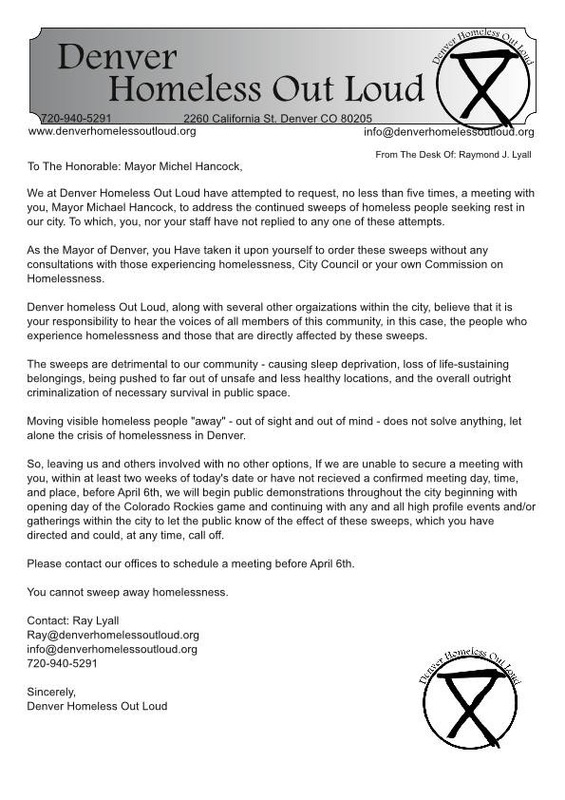 The group Homeless Out Loud is planning to protest the Rockies Opening Day game this Friday in order to draw attention to the problem of homelessness here in Denver. The group claims they have asked the mayor himself to meet with organizers from the group over the latest encampment sweeps at least five times, but they say Mayor Michael Hancock has denied their requests. The demands are simple: End encampment cleanups. Organizers told Denver7 they also wanted to show the mayor how these sweeps have done the opposite of reducing homelessness. The groups said many of the homeless don’t have proof to get their belongings back from storage places and others can’t get the help they need because outreach workers can’t track them. “We need to stop thinking that because you don’t have four walls on the roof, that you shouldn’t have the right to exit in public space,” said Homeless Out Loud organizer, Terese Howard. 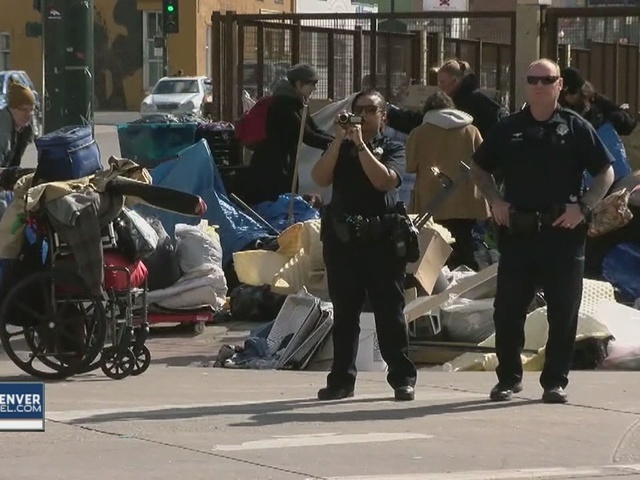 The city has committed significant resources in the Ballpark neighborhood to help those sleeping on the streets, much more than a mere cleanup of the unsanitary, unsafe conditions. For the last six months, the city worked diligently with the individuals living outdoors in order to connect them with services that addressed their needs, as well as assist them in identifying clean, reliable and safe shelter to sleep in at night. Since the beginning of March, our outreach teams have specifically helped connect dozens of individuals with applications for aid, food assistance, obtaining or validating medical coverage and accessing permanent housing. And our efforts are ongoing. We value the Commission on Homelessness and respect the individuals who serve on that commission, as we all care very deeply for the homeless in our community. Our long term goal remains to assist each individual experiencing homelessness with their unique needs and connect them with the appropriate services to help them stabilize their lives. In 2016, the city will invest nearly $50 million on our homelessness efforts.